After a long period of withdrawal from the public eye, Organizing for Action, the political group that grew out of Barack Obama’s first presidential campaign, is ramping back up for the Trump era with a focus on defending the Affordable Care Act and training grassroots organizers, officials tell NBC News. Had Hillary Clinton won the presidency, OFA was likely headed for a wind-down. But with Trump in the White House, the relaunched OFA will claim a spot in the increasingly crowded marketplace of groups looking to fight the new president’s agenda. OFA has hired 14 field organizers in states home to key senators as part of its campaign to defend Obama’s signature healthcare law. To run that campaign, the group hired Saumya Narechania -- the former national field director at Enroll America, which worked to sign people up for Obamacare -- and a deputy campaign manager. How can the Democrats make their case? Jennifer Warner is returning to the group as national organizing director after running Democrats’ coordinated campaign in Ohio last year. And former Clinton campaign spokesperson Jesse Lehrich has joined OFA as its communication director. The rest of the group’s leadership is largely remaining intact, with former Obama 2012 campaign manager Jim Messina and former White House aide Jon Carson as co-chairmen, Katie Hogan as executive director, Jack Shapiro as director of policy and campaigns and Aaron Buchner promoted to chief of staff. What role Obama himself will play remains unclear. OFA is looking to expand into other issue areas as well, like climate change and gun control, and is exploring the possibility of launching a program to recruit and train people to run for office. But it is unlikely to get directly involved in electoral campaigns, according to OFA. For now, it’s focused on planning events ahead of the congressional recess later this month, when members of Congress will hold events in their district. 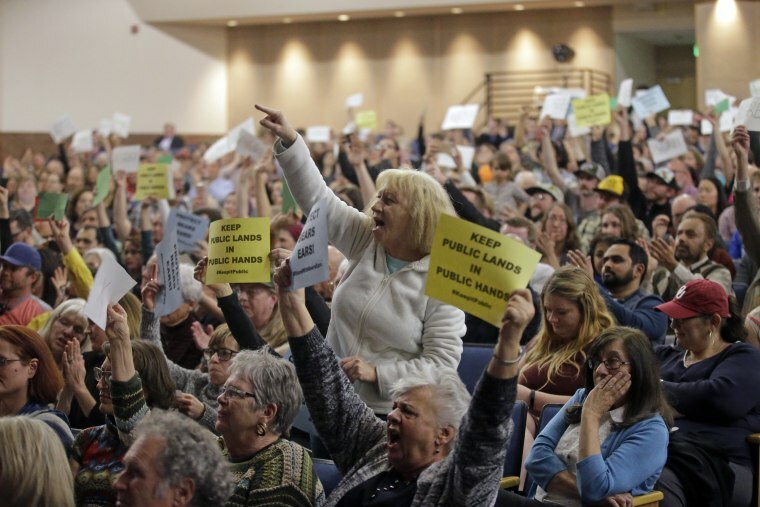 Organizers are hoping to produce more moments like the one at Utah Rep. Jason Chaffetz’ town hall Thursday night when he was confronted by angry constituents. OFA has gone through several iterations since it first launched in 2009, all of which faced criticism from Democrats who felt it detracted from other party efforts while accomplishing little. Those concerns have become more public after an election loss in which many Democrats feel their forces were too fractured and poorly coordinated, and that Obama neglected his duties to maintain and build party infrastructure. “OFA should fold into the [Democratic National Committee]. Having two organizations is redundant, and dilutes and confuses the mission. Given the urgency of the moment, we need laser-like focus, with clear lanes and cohesion, not duplication,” former Michigan Gov. Jennifer Granholm told Politico this week before the new contours of the group were announced. Defenders say OFA has learned from its experiences and that its activities will not directly compete with other organizations, even though it will continue to raise money from both large and small donors that fund other progressive and Democratic organizations as well. Instead, OFA says it can fill a niche that will benefit the progressive movement as a whole by nurturing a broad base of grassroots organizers and working with other groups to mobilize voters on specific issues. "There are important progressive organizations that mobilize supporters around key issues of the day and OFA has great partnerships with many of them,” Lehrich said in an email. “OFA fills a unique role by investing in organizing to build a lasting and successful progressive movement. We're bringing in thousands of new people who have never been engaged before, connecting them to a nationwide grassroots network, providing them with cost-free training, and empowering them to apply those skills to make change in their communities." It’s a humbler vision for a group that once, paradoxically, tried to raise a grassroots army it could command at will to push Obama’s agenda through Congress. The narrower focus has, for instance, led OFA to stay out of confirmation battles over Trump’s cabinet nominees and the dozen other fights liberal groups are engaged in at any given moment. OFA says more than 1,800 people have applied to its Spring Community Engagement Fellowship, a six-week training program, two-thirds of whom have not previously been involved with OFA. And the group has teamed up with Indivisible, a buzzy newcomer to the progressive movement, to offer organizing training that began Thursday night with a video conference. A combined 25,000 people have registered to participate in those trainings, OFA said. To defend Obamacare, the group says it has planned 400 health care-focused events in 42 states this year with partners that include mainline liberal groups, like the Center for American Progress and Planned Parenthood, as well those from the progressive wing, like MoveOn.org. OFA says 20,000 people have used their tool to call senators’ offices to urge them not to repeal Obamacare and says one million supporters have already taken action with OFA. The goal is to further hinder the already stalling momentum around repeal the Affordable Care Act. For instance, OFA helped get Obamacare supporters to flood townhalls for Florida Republican Rep. Gus Bilirakis, Illinois GOP Rep. Peter Roskam, and California Rep. Tom McClintock, which lead to national news coverage about anti-repeal backlash. Obama himself has no legal affiliation with the non-profit organization that for years housed the valuable email list, which it only turned over to the DNC in 2015. But Obama brand is still strong among Democratic donors and rank-and-file voters alike, and OFA is a natural home for any political activity Obama may wish to take. That affiliation -- it’s one of only two groups listed on his post-presidential website -- guarantees OFA toehold in the progressive movement, no matter what criticism it may face. An Obama spokesperson did not respond to a request for clarification about how the former president plans to engage with the group.